I don’t know how it works at your company, but lately, I’ve realized that at Woodpecker we usually run ahead and we hardly ever have time to look back. And that’s a shame, really. Sometimes it’s good to look back and realize how far you have gone. That may give you a broader perspective and some fresh energy. 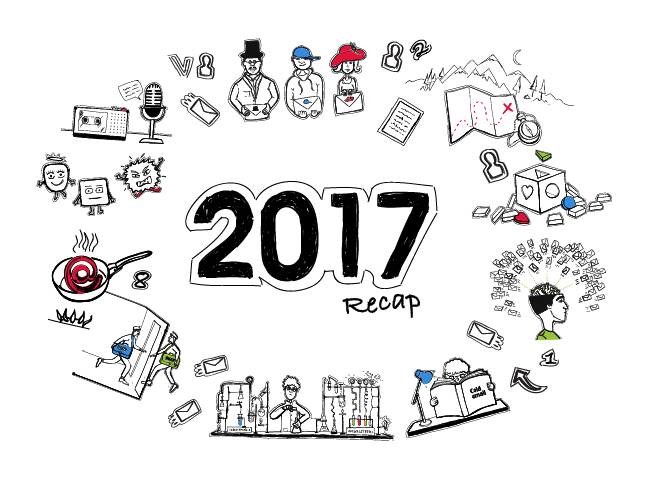 I took a look at 2017 and it turns out it has been a fantastic year. It was so thanks to you, our dearest customers, partners, blog readers, and friends. I’ve put together a little recap here, so you could see for yourselves what we can be really grateful for at Woodpecker. That’s a tremendous success for us and we are grateful to all those who got on board this year. We also send our special thanks to those who joined us before 2017 and keep being with us through all this time. Thank you for your steadfastness, loyalty, and patience. Our team has grown substantially in 2017, so now we’re 30 people ready to help, serve, and talk to you every day. At the same time, we somehow managed to sustain the team atmosphere we built when there was only a handful of us. That’s something we wish you on the road of growing your own company. This year, we’ve put a lot of work into improving things that can’t be easily noticed at first sight: deliverability, email integration process, email sending, and reply detection systems. We can’t say that was a year full of new bright and shiny features’ releases. But we can confidently state that we spent this time improving the core features that each of our users needs every single time they send their email campaigns from Woodpecker. All the new features we have waiting in our backlog would be pointless to introduce if the good old features weren’t taken to the next level. In 2017 over 53 000 people were reading the present blog. Over 6400 people subscribed for the blog newsletter. I’ve heard many warm words from the blog readers – thank you so much for all of them. I’m more than happy to hear that my posts are helpful to you. Here’s a list of most often read articles this year. On behalf of our whole team, I want to thank all the people who contributed to making this year a success for Woodpecker. Dear customers, we couldn’t be where we are without you. Thank you for your trust, continuous support, all the warm words, and your precious feedback (both positive and negative.) You provide us with inspiration and energy to grow and to keep helping you grow at the same time. Trial users, thank you for giving us a chance. We’ll keep improving for you, too, and hopefully, we’ll be able to meet your expectations next time you give us a try. Partners, your contribution to our sustainable growth is invaluable. Thank you for spreading the word about Woodpecker and for bringing us to even more small and medium businesses all over the world. You undoubtedly add fuel to our growth engine. Blog readers and newsletter subscribers, special thanks from me for all the time you spend reading the things I put up here. Your attention and interest drive me to write (hopefully) useful stuff every week. Thank you for all the words of appreciation and support I got from you this year. All friends of Woodpecker, there are no words we can use to express how much your dedication and support mean to us. Thank you so much for all that you’ve done for us so far. We are entering 2018 as an almost grown-up company. Though we see this as a huge success and a source of new opportunities, we’re also aware that we’re about to face some new challenges. We believe that our team will be ready to take up all of them if we have you with us. Best wishes for 2018 from all of us at Woodpecker team.